It was a perfect day in early summer, a couple of years ago now. 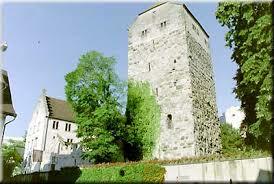 I was at work in the lovely old castle here in Arbon. The tower dates from the 1200s, and the rest has been added over the centuries, so as you can imagine it’s a historical treasure. As well as our school, the castle houses a museum, a restaurant, and the beautiful Landenberg room which can be hired for concerts, graduation events etc. Much of the building is made of wood, so the smoke alarm system is out-of-this-world, and when it goes off, it rings automatically in the fire station across town too. We used to have quite a few false alarms, because the school pottery oven did tend to overheat, so when the bell rang it was always a scramble to check the oven and then cancel the alarm before the fire brigade actually set out. But one day it wasn’t a false alarm. There were no actual flames, but the amount of smoke pouring into the pottery room was alarming. That day we didn’t cancel the alarm. I was giving a private lesson, so my student and I shifted down to the restaurant in the castle garden, under the tower, and watched as fire engines blue-lighted into the courtyard. All I could do was stare at the ventilation grid on the ceiling. In the background I could hear the distant beat of music and voices from the party – my wedding reception – upstairs. All these people had come to help us celebrate, and now the entire thing was going to be ruined. My hands were shaking so much that my mobile slipped through my fingers and I only just caught it before it hit the floor. Another glance at the ceiling had me panicking – I flipped on my phone, punched out 999, and ran. I had to laugh at the expression on Mum’s face. I wasn’t quite sure what I was leaving to her, but it was easiest just to agree. All Suze and I wanted was something very laid-back here in Bedford, then a nice little party in Toronto for the family there. Suze’s father’s health prevented him travelling to England so this seemed the best way to please everyone. 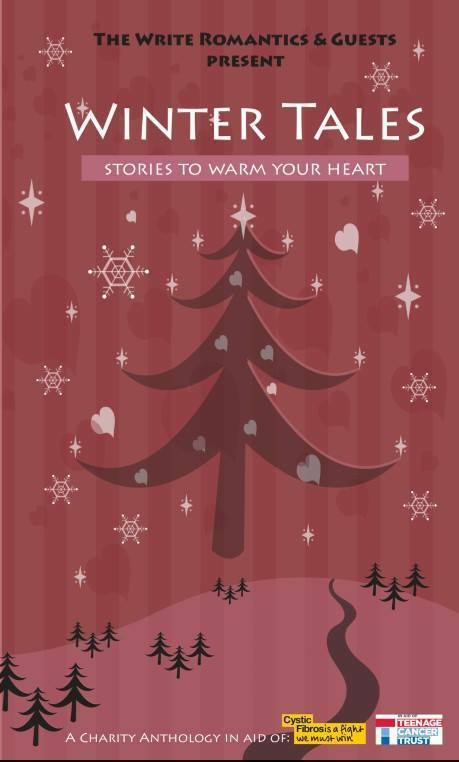 Order your copy of Winter Tales and support two excellent causes! 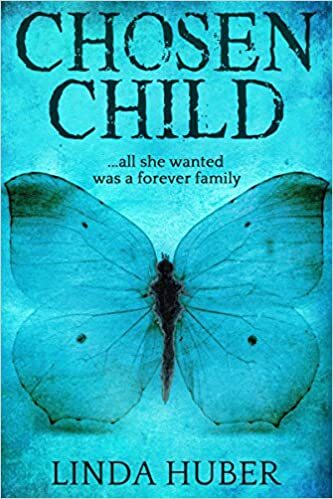 This entry was posted in books, My books, The Writing Life and tagged Arbon, The Cystic Fibrosis Trust, The Teenage Cancer Trust, Winter Tales. Bookmark the permalink.